Hi Everyone! Happy SVG Cutting Files challenge day! Here is the card I made. I made this for my niece's birthday! I used 3 gems, 2 pattern papers and 1 sentiment. The card base is also from SVG Cutting Files. Here is a close up. 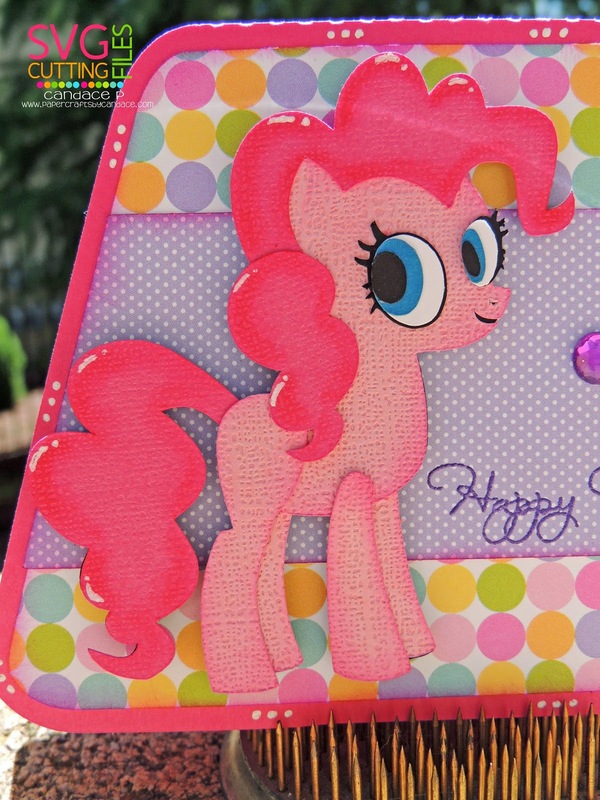 Pinkie Pies is so Adorable. Love this Birthday Card. 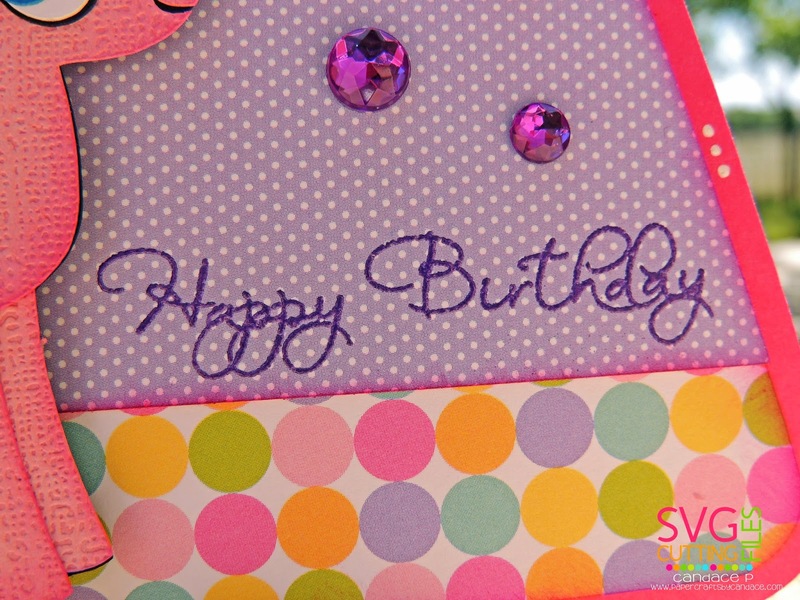 Love the polka dot paper! 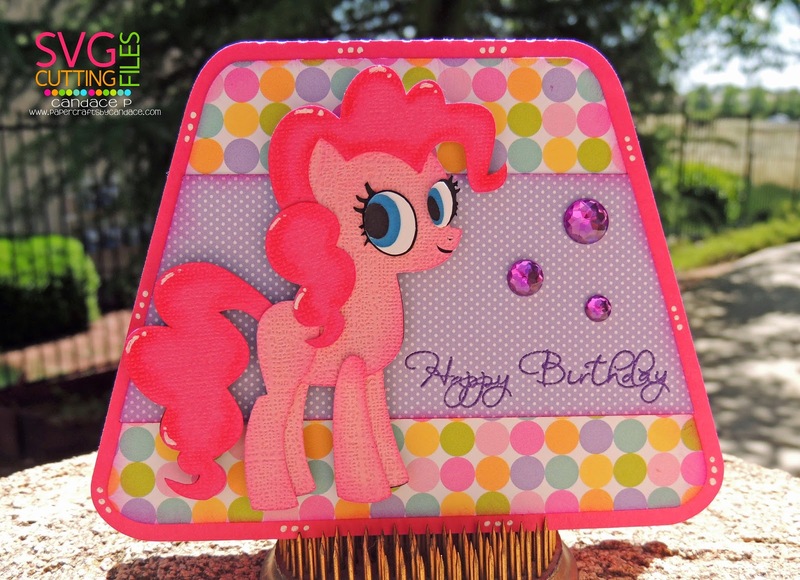 It is perfect for Pinkie Pie!